If you’re married to your Kindle and have to work from or on documents often, you should give this a try. First of all, you’ll need to send your Word document to your Kindle. You can do this by e-mailing it to your Kindle e-mail address. (Did you know you have one?) Instead of summarising here how to do it, I’ll refer you to the Amazon help page. I use this quite a lot when I want to proofread drafts of my books, to read through handbooks or training materials or to read scripts of plays I’m working on. I’m making a huge effort to reduce the amount of weight I carry in my hand bag and this is a really easy way to do so. It also means that you can always carry with you those documents you prefer to tackle when you have a moment here and there. This is easy. If you have a Kindle with a 5-way, click the UP arrow and position the cursor where you want to start your highlight. Click on the middle of the key. Press the RIGHT arrow to highlight. Press the key again. Done. If you have a Kindle with a touch-screen, this is even easier. Place your finger on the first word you want to highlight and press lightly. Drag your finger over the sentences you want to highlight. Let go and press on the Highlight option. Remember that all these highlights get recorded in your My Clippings file. You can also access (and even share, oh the joy!) your highlights online through https://kindle.amazon.com/your_highlights ‎ . This is great if you’re doing research or if you want to share a quote from one of the many books you’re reading. When I’m correcting a manuscript, I usually use this for grammar or spelling or other things where I know a quick glance will do to realise what needs changing. 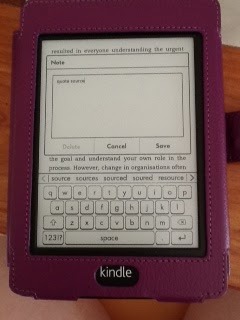 Just like when you’re correcting documents on paper, you can make notes on the Kindle. It’s not as fast as scribbling something down with a pen, but the convenience of not dealing with lots of pieces of paper during and after the proofreading process makes the extra effort worth it. Your notes are then numbered and you can access them by pressing on the allocated number, which sits inside a small square. Beautiful. This is where you can really feel the benefit. Instead of having tens of pages lying next to your computer, you can just place your Kindle in a convenient “reading place” and get cracking. 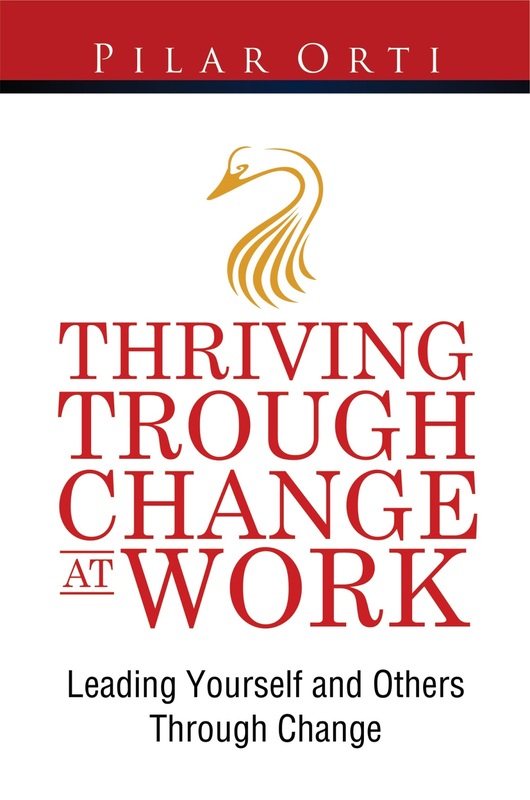 Thriving through Change at Work: leading yourself and others through change has been updated to include sections on how to help your team through those uncomfortable transitions. The focus is still on helping YOU to make the best out of change by being aware of how you react to it emotionally, cognitively and physically. The book is a light read with plenty of advice backed up by well-known research and models. 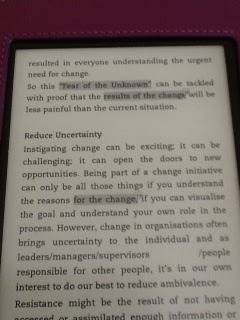 At present it’s only available on the Kindle, but if the content sounds useful, do visit the blog Leadership through Change. APE: Author, Publisher, Entrepreneur. The One Book You Need to Self-Publish.